Batch Mixers - Himech Equipments pvt. ltd. The Himech Batch mixing system is excellent in mixing technology, which includes a batch mixing tank. This system can be used for all cement, flush and spacer mixing operations. 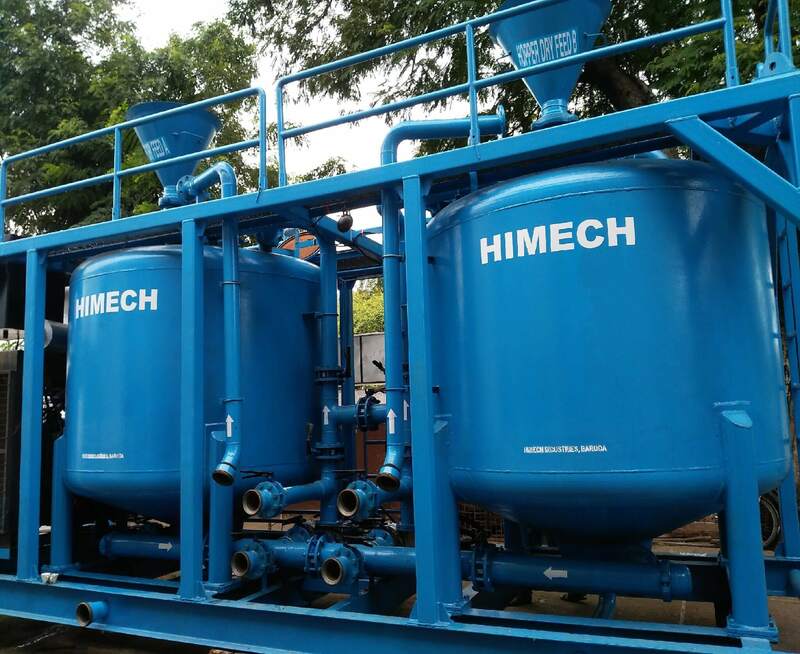 Batch mixing tank with agitators allows the batch mixing of cement for plug and squeeze and allied cementing jobs Batch Mixers are supplied with control console, piping valves, hose connectors. Slurry Mixing System with Recirculating Loop. Himech Offers Batch Mixers of mechanical and hydraulic types. Capacities – 50 BBL, 100 BBL and 150 BBL.